SAN FRANCISCO (August 1, 2018) – Mazzetti Inc., a global MEP engineering and technology consulting firm, and St. Louis-based William Tao & Associates (WTA), multi-disciplinary engineers serving nationwide clients, have merged. The merged company will retain the Mazzetti Inc. name. Lisa Sombart, WTA CEO and President, will be a Mazzetti Principal, leading the St. Louis Team as part of the Mazzetti East Region. The combined firm will have a staff of 206 and 11 locations: Irvine, Sacramento and San Francisco, Calif.; Denver, Colo.; Atlanta, Georgia; St. Louis, Missouri. ; Portland, Ore.; Nashville, Tenn.; Dallas, Texas; Seattle, Wash.; and Bengaluru, India. 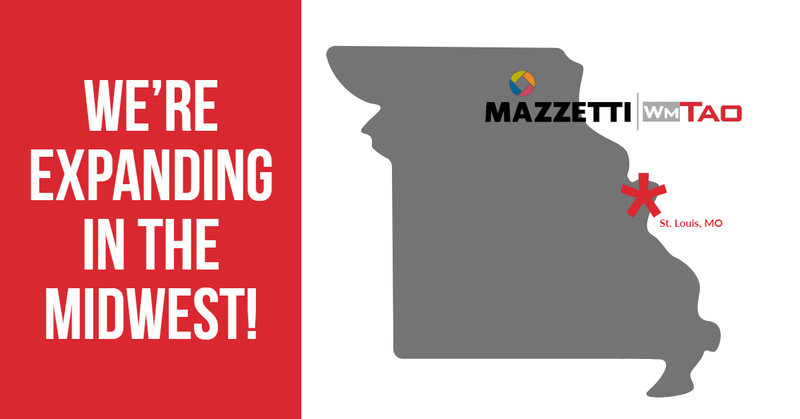 For more than 55 years, Mazzetti has consulted sophisticated nationwide clients in the planning, design, and operations for technologically advanced, energy efficient facilities. The addition of WTA will enable Mazzetti to further this mission, particularly in the Midwest.